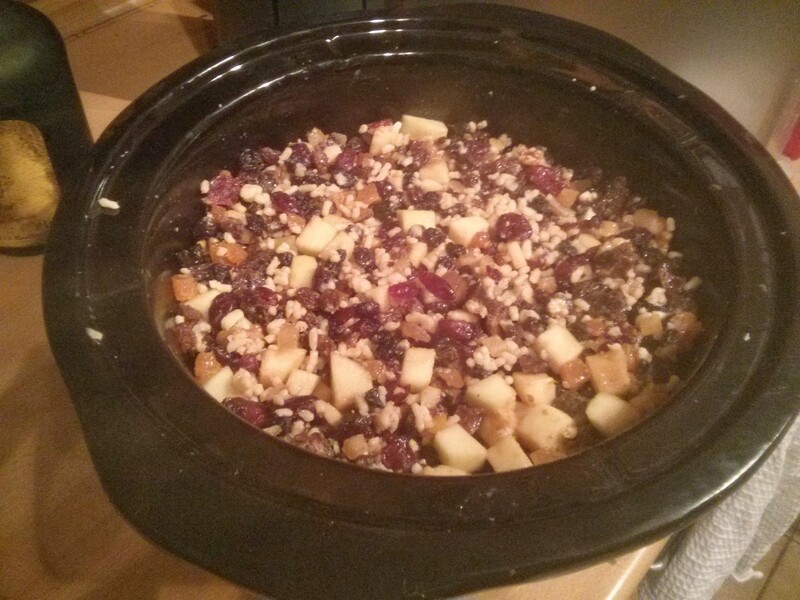 Mincemeat: in the slow cooker! Only two months until Christmas everyone! 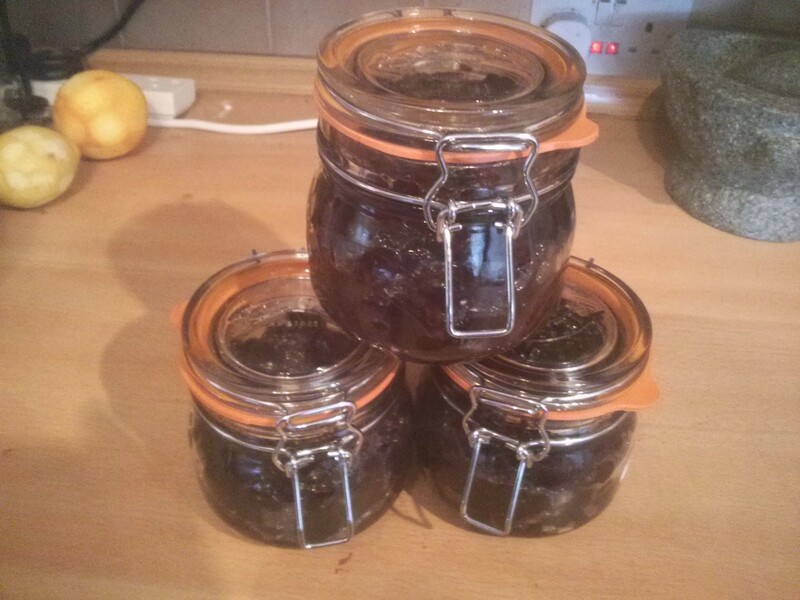 Soph started our Xmas today by soaking lots of dried fruit in booze, I then collected up the leftover packets and went to work on the mincemeat. 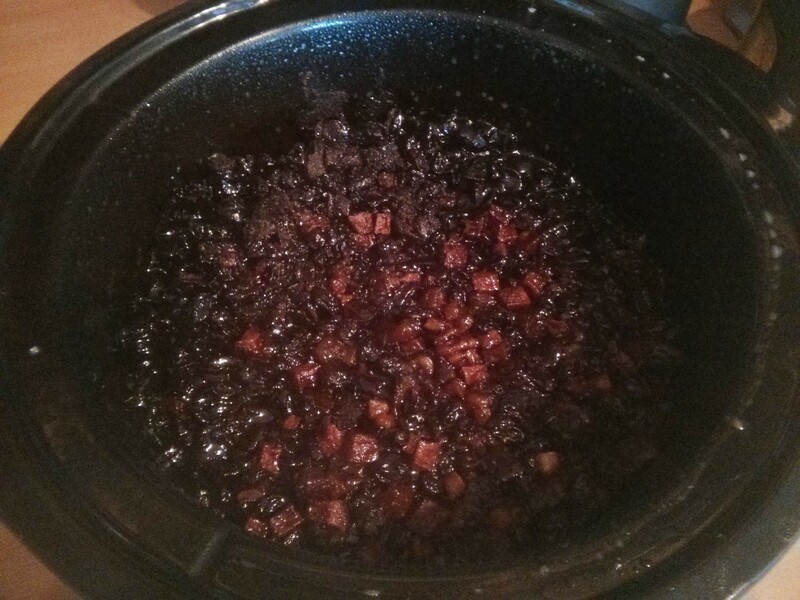 We’ve got a new slow cooker, so of course I’ll be using it for everything! The new one is bigger, and has a timer that switches from high or low to warm. The plan is to set it cooking in the morning before work, have it cook for 8 hours, then let it warm until we get home. One benefit of slow cooking this: no need to do things in stages on the hob. 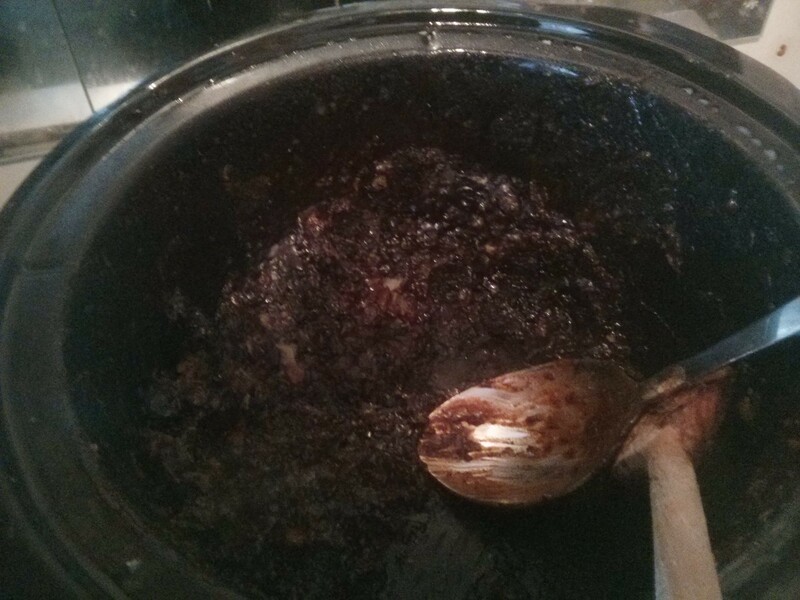 Just bung it all in the slow cooker, mix it up, set for 8 hours, and leave it overnight! 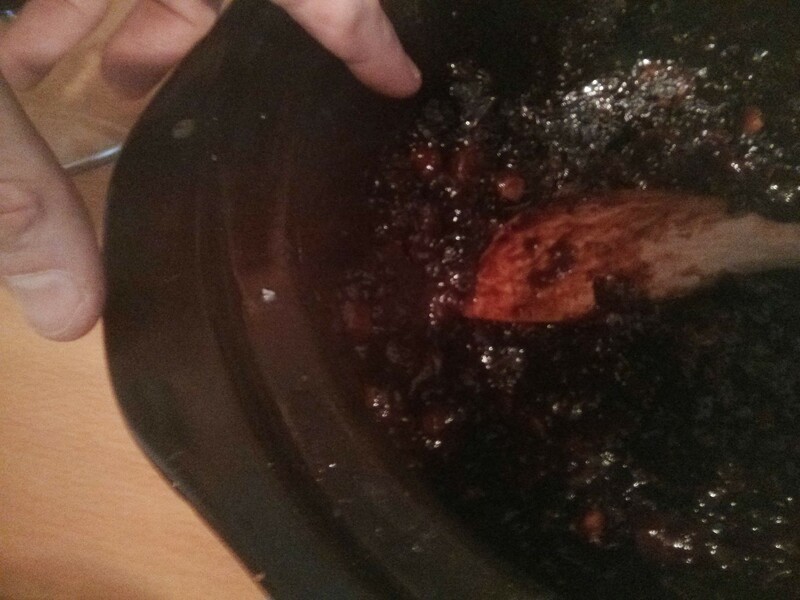 The only reason for 150g of light suet in there is that we had some lying around. We’ve discovered it contains palm oil, which we’re avoiding for ethical reasons, so from now on it’s full-fat suet (not that the light stuff saved many calories anyway). 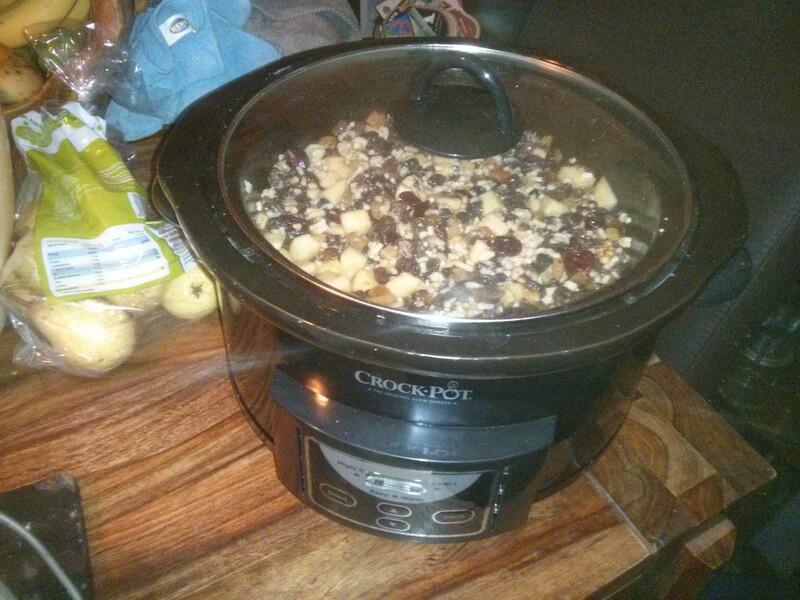 Anyway as I said… throw it all in the slow cooker, big mix with a big wooden spoon. Then on for 8 hours on low, then warm until we wake up and deal with it. Next morning it’s all gone lovely and dark! After cooling I took the top off an it smelled amazing! Now it’s time to put it in jars. These need sterilising first, and as we don’t have a dishwasher that means washing in soapy water followed by 5 minutes in a 160c fan oven. 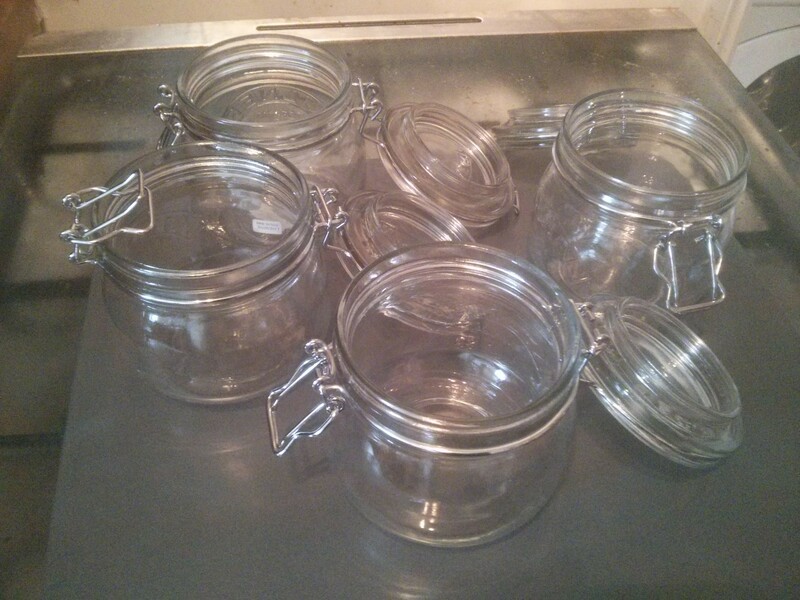 I managed to get 3 full jars out of it. 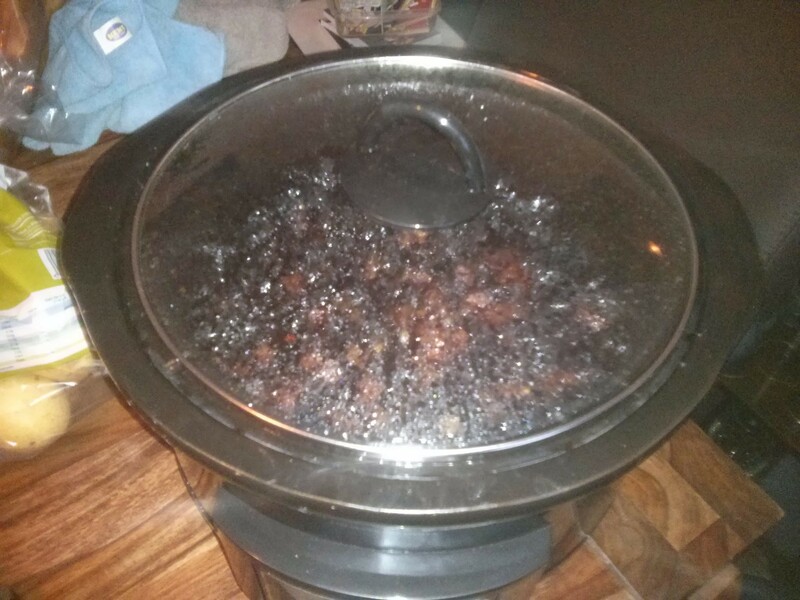 Tomorrow I’m planning Tex-Mex chicken in the slow cooker, so I’ll keep an eye out for hot spots.